In the past few months, Uber has continued extending its reach by adding new cities to its network, offering yacht rides to customers in Miami during Art Basel, boat service to customers in Istanbul and lowering the cost for users to travel from Newark International Airport (EWR) to surrounding locales, including Midtown Manhattan and Jersey City, by up to 50%. And now, the rideshare service is continuing to expand by offering customers on-demand helicopter rides at the Sundance Film Festival. If you haven’t signed up for Uber, you can join here and get your first ride free (up to $15). Airbus and Uber announced their partnership for this week’s Sundance Film Festival in Park City, Utah, which starts on Thursday, January 21 (more TPG coverage on that coming soon). The service will allow customers to hail a helicopter that will take them from the Salt Lake City Airport to a helicopter landing pad in Park City. According to the LA Times, rides will cost $200 per person during the day and $300 at night for the 15-minute ride. 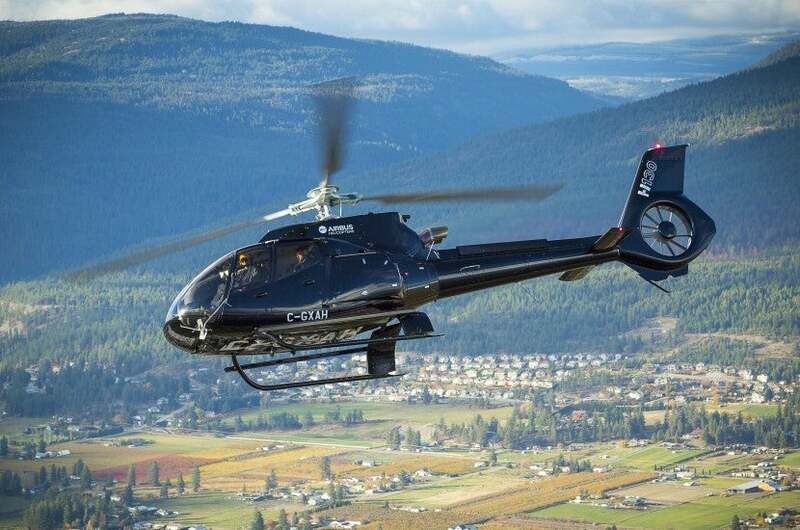 There haven’t been many details regarding the specifics of the new feature, but the helicopter rides will be on board Airbus’ H125 and H130 helicopters and the fare includes Uber SUV service to and from the helicopter pads. Airbus’ H125 and H130 helicopters will be used for the service. Image courtesy of Airbus Helicopters. Uber has experimented with ventures like this before. Just before the Fourth of July holiday in 2013, it teamed up with Liberty Helicopters to offer helicopter rides from New York City to East Hampton. The trip included door-to-door SUV service and the $3,000 trip could be split by up to five people. Last spring, Uber also teamed with Corporate Helicopters to offer helicopter service to festival goers who were going from San Diego to Coachella, which also cost $3,000 and could be split between five people, as well as a partnership with Epic Helicopters in Austin, Texas, which cost $400 for a ride to the helipad and a chopper ride to the Circuit of the Americas the day of the Formula 1 US Grand Prix. Ultimately, this sounds like a decent deal — especially if you’re able to score service for one of the day trips, which are $100 cheaper — and a possible way to increase your Uber rating. If you find yourself at Sundance this week and are in a hurry to get from the airport in Salt Lake City to the center of the festival in Park City (about a 40-minute drive), the 15-minute chopper ride could be a good option — and the views are bound to be spectacular. If you do decide to use the service, don’t forget to use a credit card on the app to best maximize your point earnings, like the Chase Sapphire Preferred card, which will earn you 2 points per dollar on travel (including Uber).